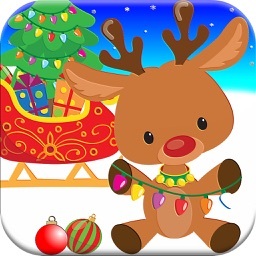 This year Christmas Fun app is better than ever! 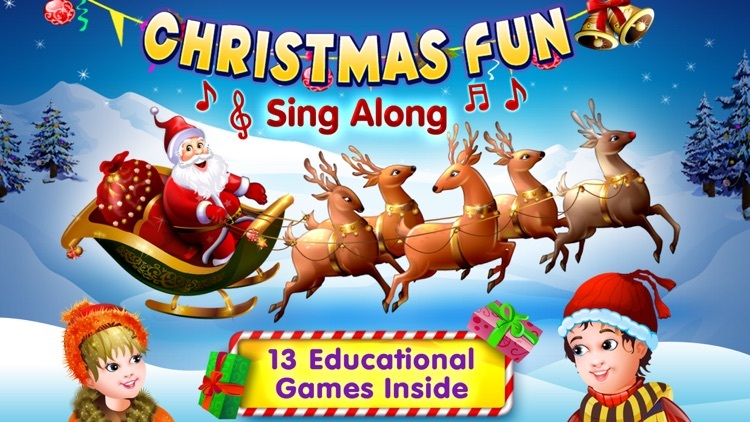 With 14 fun filled Christmas songs, games and exciting activities. 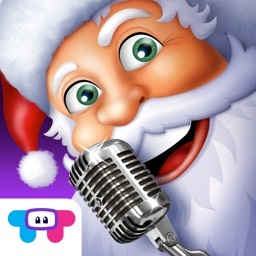 Sing along with classic songs such as Jingle Bells and Santa Claus is Coming to Town and have hours of laughs with wonderful games such as Simon Santa or Gingerbread Peekaboo. 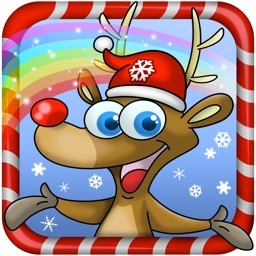 Christmas Fun is an all in one, special edition Christmas app which is fun for the whole family. Animated, Interactive Sing-Along story book for children - The classic children's Christmas song comes to life in an interactive and fun experience. 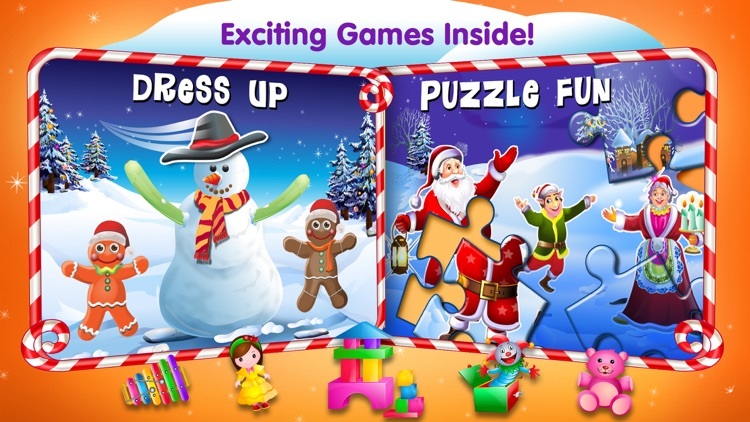 Help Santa and Snowman dress up for Christmas in a fun and intuitive game. Select hats, faces, shirts, pants and more to combine the perfect Christmas outfit. 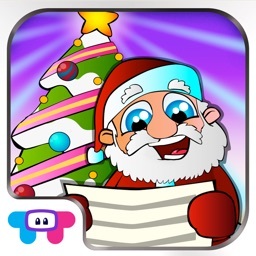 Enjoy wonderful Christmas spirited coloring pages in a unique and fun coloring game. Where is the gingerbread man hiding? Touch the moving objects on screen and find him. Join Little Paul and Emma on their wonderful Christmas Adventure in this beautiful interactive story. All aboard the Christmas Train! See all the the beautiful train’s carts with toys. Learn spelling and vocabulary as you interact with the train and toys. Come play with the most beautiful Simon Game in the app store! Listen to the holiday tunes and then repeat with three fun festive modes! Santa and the Snowman have gotten all mixed up! Can you help put them back together again? Can you find all the Christmas toy’s identical pairs? This memory game is a great way to develop memory skills and have fun all at the same time. 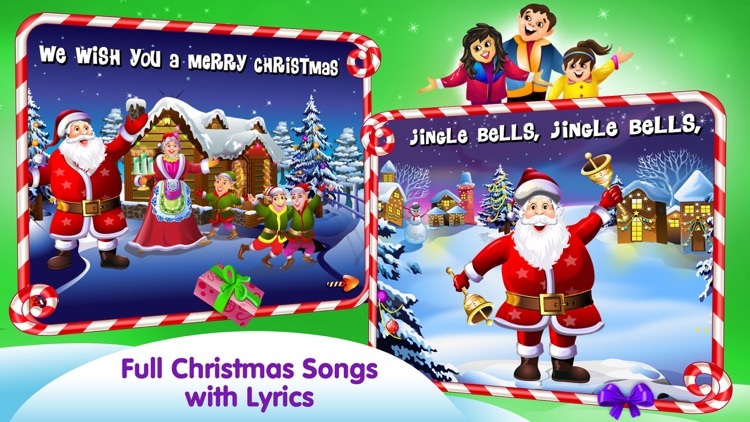 Note: First two pages of each song and the story are completely free with full features, Santa dress up game the Christmas Train are completely free and so are the first few stages of each game. Many more games, pages, activities and stages are available with an easy to use in-app purchase inside the app.